ALLIANCE Gold and Silver Exchange is one of Fort Worth’s largest buyers of Jewelry, Gold, Silver, Sterling Flatware, Platinum, Coins, Bullion, and Larger Diamonds. 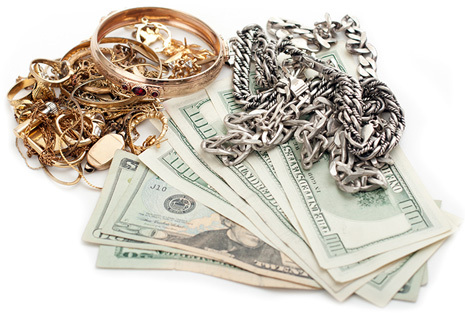 We will buy your unwanted jewelry whether they are scrap, broken, or high quality pieces. We offer a friendly, safe, and secure place where our customers can sell their old or unwanted gold and silver. Our integrity, experience, and customer service has made us one of the top rated gold & silver buyers in the DFW Metroplex. Turn your unwanted, outdated, or old gold and silver into much needed cash. There’s never been a better time to sell your gold and silver then right now. The price of gold has reached historic levels and this means big dollars for you. We buy and sell gold, silver, jewelry, diamonds, estate jewelry, dental gold, gold coins, silver coins, bullion, silver collectibles, rare coins, Morgan dollars, peace dollars, us proof and mint sets, sterling silver flatware and serving sets. With nearly 40 combined years of experience, our knowledgeable team of jewelry and coin experts will provide you with an honest and fair evaluation of your jewelry and coins. We strive to make sure that you are getting the most money for your items. Find Out How Easy It Is! I know. Thanks again!” - Ron C.
the best price of anywhere I went.” - Alena W.
recommend your service to my friends." - Monica S.
"So nice to deal with people who you feel you can trust. quick and easy." - Kathryn S.
to the right person for an awesome deal." - Fred S.
mention the product quality was as great as the pricing. If you're into Eagles, get over there now!" - Drew B.